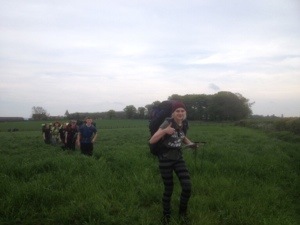 After completing Bronze and Silver Duke of Edinburgh’s Award practice expeditions around the Severn Vale over the May Day Bank Holiday weekend, over twenty cadets are now ready to complete their qualifying expeditions in Normandy. During the Whitsun holiday three Silver Award Groups and one Bronze Group will journey around historic D-Day sites just before the 75th Anniversary of the Allied invasion. The practice expeditions followed routes around the Berkeley and Thornbury area with the cadets spending two nights under canvas at a farm.